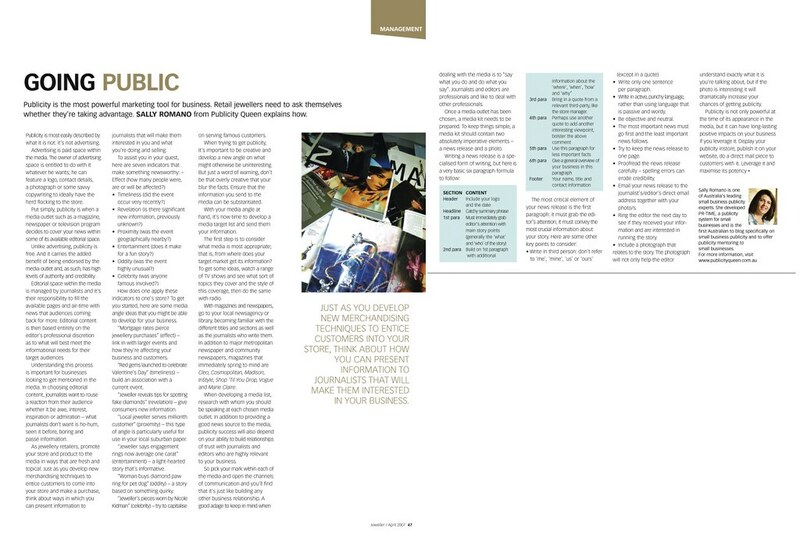 “Become your own publicity queen” are the sage words of advice that were distributed by Sensis in the latest edition of their Small Business Big Opportunity newsletter. And yes, for those of you who wonder what I look like, that is a photo of me with the article! Ben Angel of Nationwide Networking has asked me to be on the expert panel to help small business owners with their publicity (of course I said yes!). Just scroll down to the bottom of the page (it’s at the bottom only because it’s in October!) and you can have a look at the event. I’d love you to come along and introduce yourself if you get the opportunity. 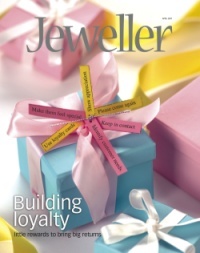 The Assistant Editor of Jeweller magazine recently asked me to write an article to help jewellers get publicity for themselves. Yours in diamonds and pearls of wisdom about publicity!